ON THIS PAGE: You will find some basic information about astrocytoma and the parts of the body it may affect. This is the first page of Cancer.Net’s Guide to Childhood Astrocytoma. Use the menu to see other pages. Think of that menu as a roadmap for this complete guide. The brain and spinal column make up the central nervous system (CNS). The CNS controls all vital functions of the body, including thought, speech, and strength. 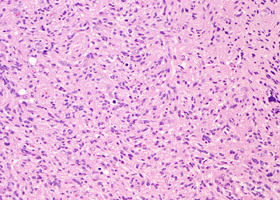 Astrocytoma is a type of CNS tumor that forms in cells called astrocytes. Healthy astrocytes provide the connecting network of the brain and spinal cord. When the CNS is damaged, astrocytes form scar tissue. 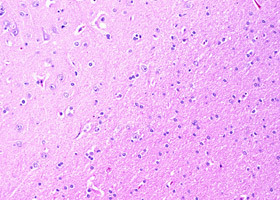 Astrocytoma begins when healthy astrocytes change and grow out of control, forming a mass called a tumor. In general, a tumor can be cancerous or benign. A cancerous tumor is malignant, meaning it can grow and spread to other parts of the body. A benign tumor means the tumor can grow but will not spread. 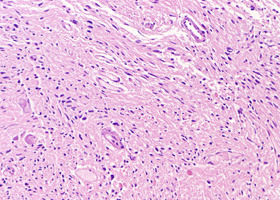 Astrocytoma is more commonly referred to as either high grade or low grade (see Stages and Grades). These images used with permission by the College of American Pathologists. This section covers astrocytoma diagnosed in children. Learn more about brain tumors in adults in a separate article. ASCO Answers Fact Sheet: Read a 1-page fact sheet that offers an introduction to CNS tumors. This free fact sheet is available as a PDF, so it is easy to print out. Cancer.Net Patient Education Videos: View short videos led by ASCO experts in childhood cancers and brain tumors that provide basic information and areas of research. Cancer.Net En Español: Read about astrocytoma in Spanish. Infórmase sobre astrocitoma en español. The next section in this guide is Statistics. It helps explain the number of children who are diagnosed with astrocytoma and general survival rates. Use the menu to choose a different section to read in this guide.